This day trip begins in Batubulan with an electrifying performance of the Barong dance show, combining elaborate costumes, deft choreography and the lively crescendo of a gamelan orchestra. The two principle characters are the Barong himself, a mythical beast and village guardian and Rangda, Queen of the witches, ruthless child-eater and harbinger of sickness and death. The two of them join in combat, trading punches with their magic powers. The Barong is unable to withstand the witch’s power, so his supporters rush to his assistance, attacking Rangda with their krises. Rangda delves into her store of black magic and puts the men into a trance, forcing them to stab themselves with their own daggers. The Barong quickly retaliates with a spell of his own, stopping the krises from harming the men. The road to Ubud is a haven for arts lovers with small family run workshops lining roadside, you will see local artist employing skills, traditions and tools dating back centuries. The town of Ubud is Bali’s flourishing center for the arts and a shopper’s paradise, with colorful stalls of wood carvings, textiles and souvenirs on every street. Visit Ubud’s most well known tourist attraction, Monkey Forest sanctuary home of malevolent but photogenic long-tailed macaques. Then visit Puri Saren known as Ubud Palace, stand at the heart of Ubud opposite the main market. After a visit to Puri Saren, you will have an opportunity to scroll in the traditional art market on your free time, just a meter away from Puri Saren. Rest of the day at leisure. Overnight in Ubud. The majority of people in Bali earns their living from agriculture and lives in villages. Each original Balinese household consists of several structures with all built within a confining wall, with variations depending on the caste and wealth of the family. When a son of the family marries, his wife usually move into his compound, so there are frequently several generations living within the same area, each with their own sleeping quarters, but otherwise sharing the household facilities. Upon arrival, visit to Balinese compound of Tunjuk Village characters, where kitchens row in the same line as well as “lumbung” rice barns, “bale” family hall and main house. Then proceed visiting an elementary school (on school schedule only), located in a short distance. Afterwards experience farming activities in nearby village farming-field, followed by ricefields short trekking tot eh area where coconuts are served for a drink. There will be a coconut climbing attraction by a local farmer. At the end of the tour, return to the home base for traditional lunch. 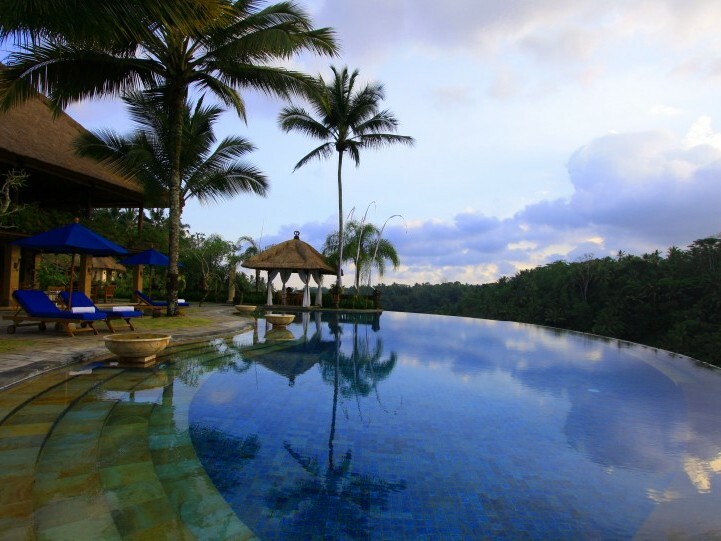 Drop at your next hotel in South of Bali.